Please help Black River travel to Washington, D.C. to attend our first ever National Finals for We the People! 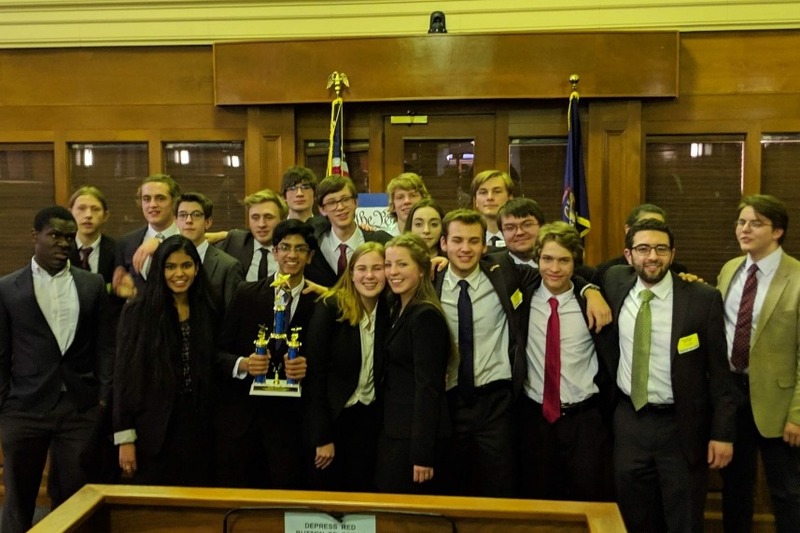 On January 11, our team of juniors and seniors traveled to Lansing and placed 2nd in the State of Michigan. At Black River, We the People is a young program without many resources. This is only our second year competing, and we only have 13 students. Nonetheless, we placed first in 4 out of 6 units, and took second place overall. As a result, we were invited to perform in Washington, D.C. from April 26-30! My students are ordinary juniors and seniors who have become experts in civics and constitutional issues. It is staggering how they have grown in speaking and writing abilities. They have practiced for over 120 hours outside of school, including all through Christmas Break, to become the most civically knowledgeable young people in Michigan. Now, these students want to keep learning. They want to prove themselves against the top teams in the country in Washington, D.C. In order to take part in this once-in-a-lifetime experience, we need to raise around $18,000. Please help by donating toward this worthy cause. Please share this with everyone you know! Also, consider asking your employer if they participate in a matching program. This could double your donation! As an educator, We the People is the most valuable learning experience I know. Students prepare and deliver answers to difficult Constitutional questions before a panel of expert judges. They then put all notes aside and answer follow-up questions from the judges. "We the People" has been around since 1987 and is organized by the Center for Civic Education. For more information, see here .